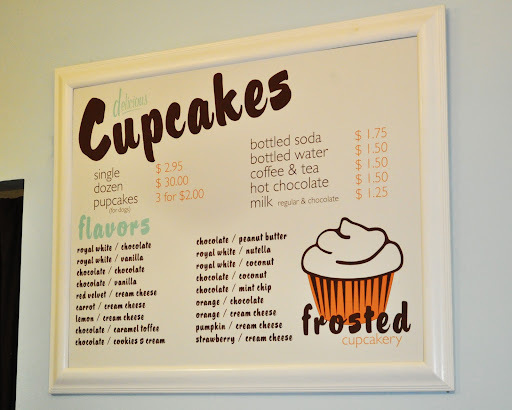 Since we were in Long Beach Friday evening at the pumpkin patch, we decided to stop by a cupcake shop in Belmont Shores called Frosted Cupcakery and treat Gaby my sister in law to a birthday cupcake. 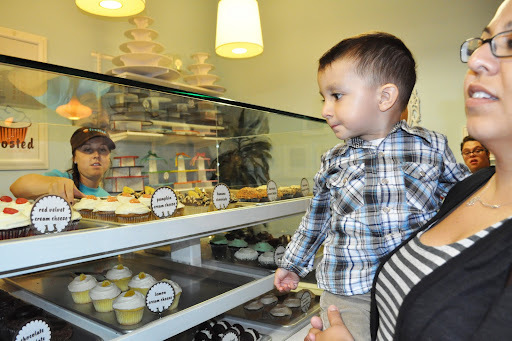 Gaby loves cupcakes and we are always looking for new cupcake shops to visit. 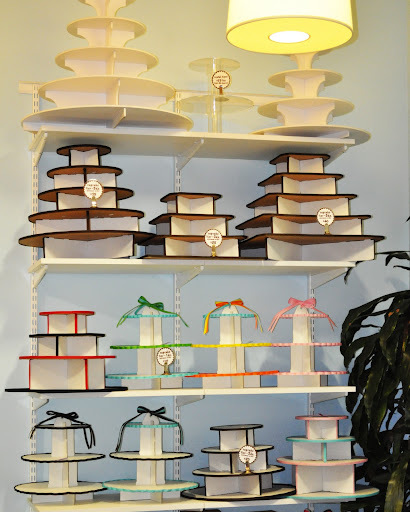 This shop is extremely cute and the staff was so sweet. 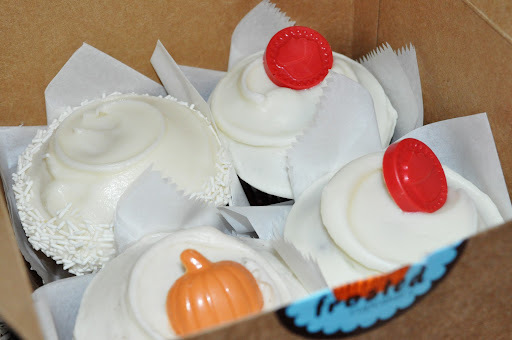 The cupcakes were absolutely delicious, even hubby agreed that their red velvet was really good! 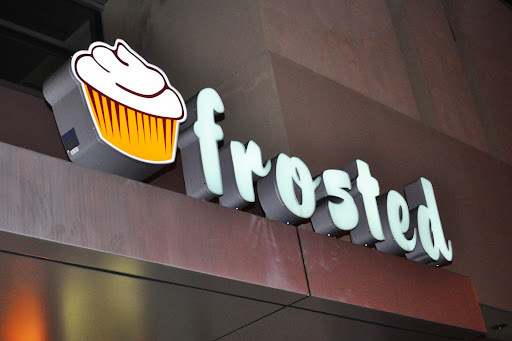 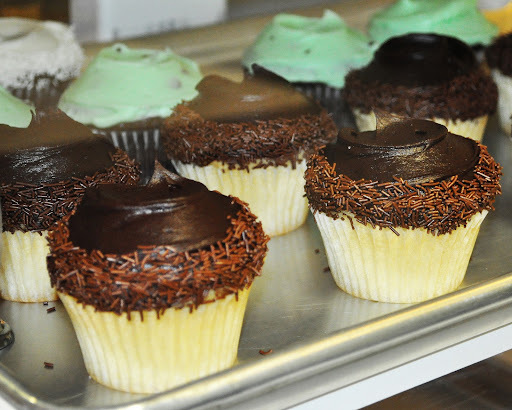 Frosted is also open late (until 9:00 p.m.) everyday, which is perfect for a late night cupcake craving!